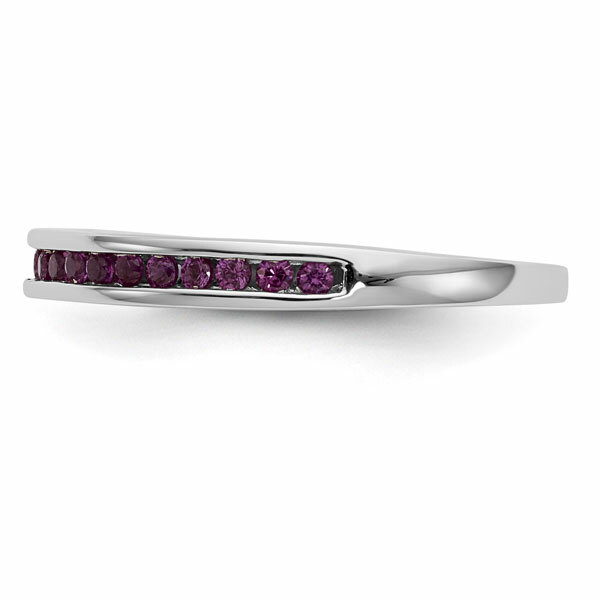 Beautiful, bright red-violet colored rubies take center stage in this natural ruby band in 14K white gold from Apples of Gold Jewelry. 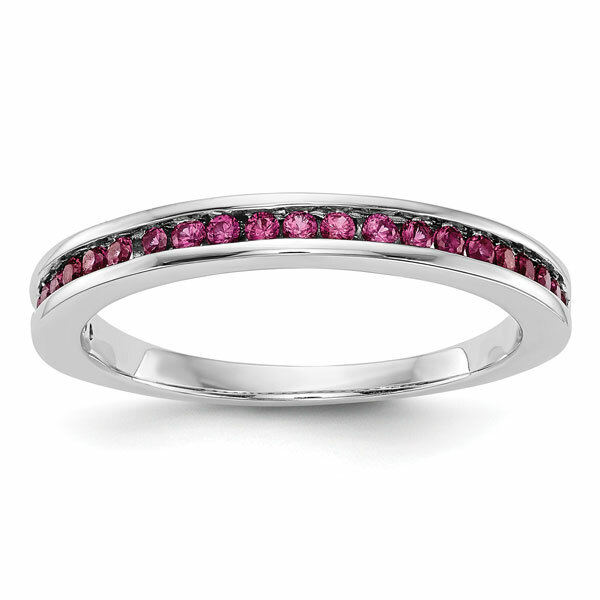 The lovely, genuine ruby gemstones are brought out by the 14K white gold band, with the two different colors creating a stunning look. The 23 ruby gemstones have a weight of 0.32 carats total, and can be found in a single line from one side of the ring, across the top, and down the other side of the band. The smooth interior of the band makes it comfortable to wear. The band measures 2.6mm on top and tapers to 1.6mm in width, making it perfect to wear as a wedding band or a fashion piece. 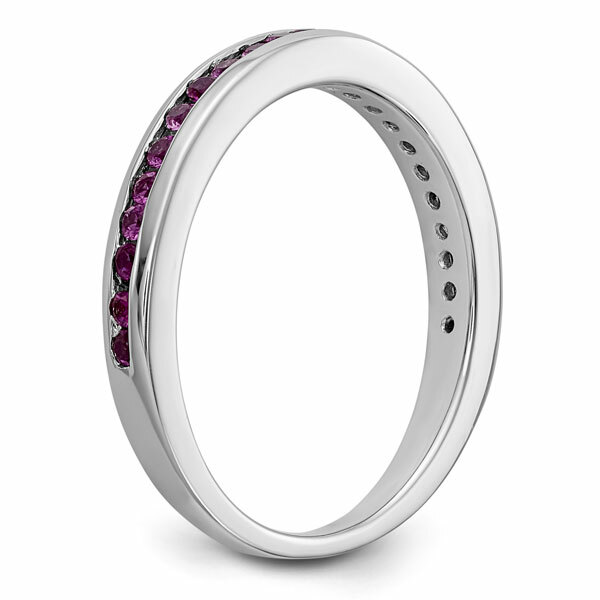 We guarantee our Natural Ruby Band in 14K White Gold to be high quality, authentic jewelry, as described above.